Economy of Lebanon is one of the most growing economies in the world, as stated by the International Munetary Fund (IMF), which showed a growth of more than 6% per year since 2008. 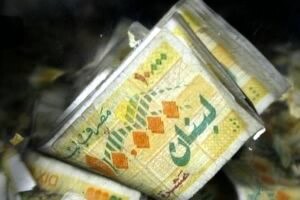 Lebanon has 54th richest GDP per capita in the world: by 2015 this country will be one of the richest of its region. Major industrial sectors are banking, agriculture, chemicals, transport equipments and metal products. Lebanon economy is focusing especially on services, such as banks and tourism as there are no restrictions to capital movements. History of Lebanon and its economy also stated a quite difficult period during the 90s and in 2006, in both cases due to civil wars (the second one is known as 2006 Israel – Hezbollah War or as July War). Post war reconstructions bring to Lebanon, in the 90s and in the years following to 2006, new investments (even from international foreign companies, such as the american Coca Cola, Pepsi Cola and Microsoft) and new tourist flow. Lebanon government also made some reforms, such as the one which has the ultimate goal to bring an economic revival in the country and to have fiscal, financial and price stability, very important to allow Lebanon to trow grow in the future years. Unfortunately the actual situation in Lebanon is affected by Syrian instability. Every year thousands of refugees step into Lebanon to escape war in their birth country. For Lebanon, if this “problem” won’t be solved as soon as possible, all the positive things made during last years can be lost and its economy can affect drop.